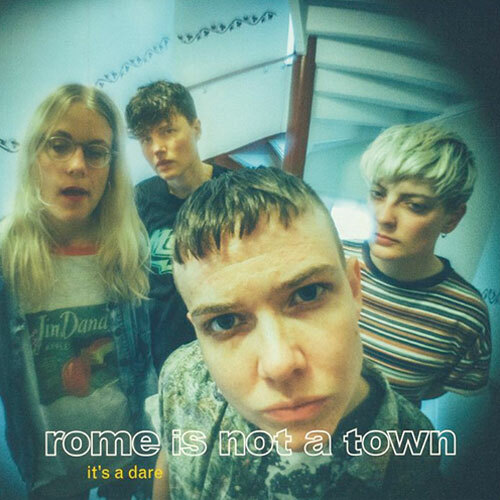 The new and enigmatic group Rome Is Not A Town has just released, on September 29, their very first full-length studio album titled It’s a Dare. Hailing from the city of Göteborg, this entirely female quartet qualifies its sound as noisy indie rock. Their music therefore sounds like a well-dosed mix of garage and punk rock, seemingly most reminiscent of the 90s decennial wave. Composed of Kajsa Poidnak, Susanna Brandin, Caroline Kabat and Emma Wättring, the band is now entering the Swedish musical universe with 10 songs averaging three minutes in length, featuring heavy distorted guitars and loud, aggressive lead vocals, the perfect ingredients for a wild ride that could very well look like a frat party at Generation X’s prime era. 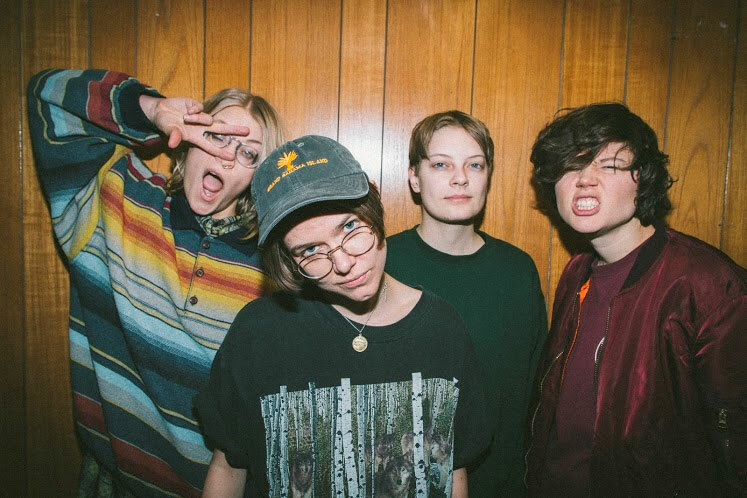 Signed to the label Startracks, the Swedish gals are also currently on a scandinavian tour in support of this first record that will without a doubt have a fascinating success in the underground European scene in the weeks and months to come. A single that saw the light a little bit before the release of the album, I’m In A Brand maybe is the most pop-flavored track of the album. The tempo is also relatively slow compared to the rest of the album, but the characteristic energy of the band persists to have, in the end, a solid three-minute piece. A ton of guitar riffs, an unrestrained rhythm : here is what makes the song Ashes such a powerful one. Even if it is nothing like a radio-friendly song and it probably won’t stay stuck in your head for long, it is a track with a construction of excellent quality, just perfectly within the genre that the band seems to put forward. In short, if you desire a song that represents the whole album well, you have it right here. For its very efficient simplicity and an undeniable energy, Say Yeah is my personal favorite. Some pretty distortions come furnishing the room, joined by a strong drum presence to make this song a true must for the band’s concerts. I would be entirely ready to pay for such a show! Not to missr!